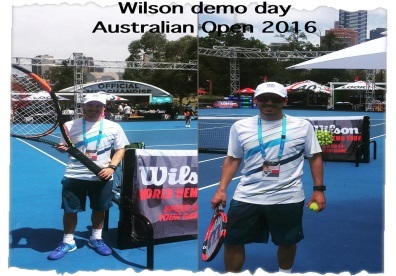 Tennis coach and MWAS Coaching Scholarship holder, Colin Thompson, recently travelled to Melbourne to attend the Australian Open. As well as watching a few games Colin attended the Tennis Australian Coaches Conference and he was selected to participate in the Cardio Tennis session as well as coach at the National Kids Tennis Day. Great to see one our Mid West coaches mixing it with coaches from all over Australia!